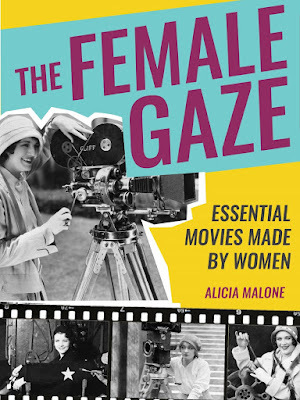 With The Female Gaze: Essential Movie Made by Women, Alicia Malone’s follow-up to last year’s Backwards and In Heels, the film reporter, host, and writer continues her invaluable quest to promote the work of women in film. Her message is two-fold: she is diligent in promoting the varied and rich works of female filmmakers, but consistently reminds her audience that not nearly enough women are allowed the opportunities in film their male counterparts are afforded. While Backwards and In Heels focused on the full array of women working behind-the-scenes in film, The Female Gaze spotlights the films they have directed. In a fascinating move, Malone does this by recruiting more female voices. Of the fifty movies discussed in the book, she has written several extensive essays herself, which are complemented by shorter essays contributed by working and aspiring female film critics. 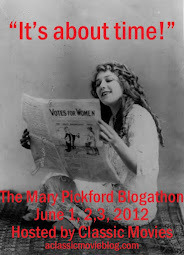 When it comes to elevating the voices of women, Malone is clearly serious about covering her bases. The essays are uniformly satisfying, though a mixed bag. A few were heavier on praise than analysis, though all made the impact of each work clear. Among the most enjoyable pieces were those where two writers covered the same film, enriching the discussion with their varying perspectives. All told, these are some of the best critical voices out there, and some of the new voices included here are promising. Malone’s own writing style is the kind that is often underrated. She makes it all look a lot easier than it is. Her essays balance the essentials of plot, analysis, and director biography with thoughtful placement of each work in cultural context. She has a knack for distilling complex ideas into prose with flow which doesn’t get weighed down by the multitude of facts necessary to properly examine each work. The films covered range from the silent era to the present day and encompass some of the best of cinema. Taken all together, it is a remarkable journey. A wide world of female-led moviemaking has evolved from the first female filmmaker Alice Guy-Blaché’s The Consequences of Feminism (1906) to Ava Duvernay’s A Wrinkle in Time (2018), for which she was the first black woman to have a budget of over $100 million. The variety in between makes it clear that a “woman’s picture” can be anything, from comedy to horror, from the experimental to the mainstream. The Female Gaze is a fun read and an essential work in a world where the film industry is starting to head down the right track where female filmmakers are concerned, but still has a long way to go. Many thanks to Mango Publishing for sending a copy of the book for review.